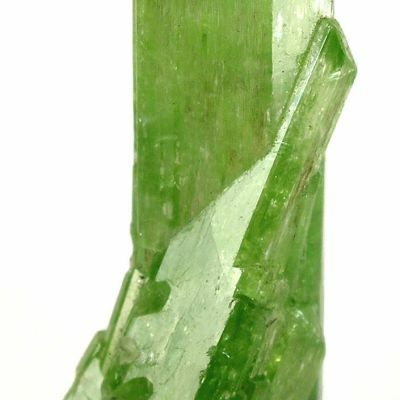 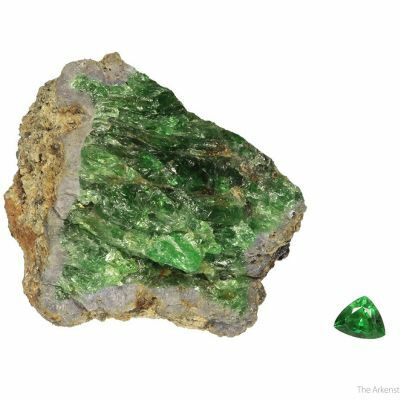 Classic for this area, this small cabinet Chromian Grossular on Diopside is quite attractive in its own way. 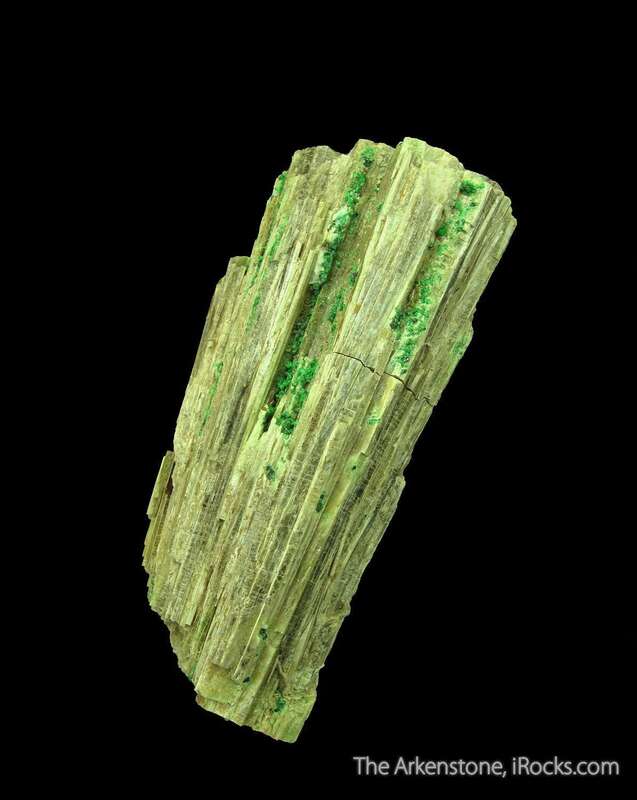 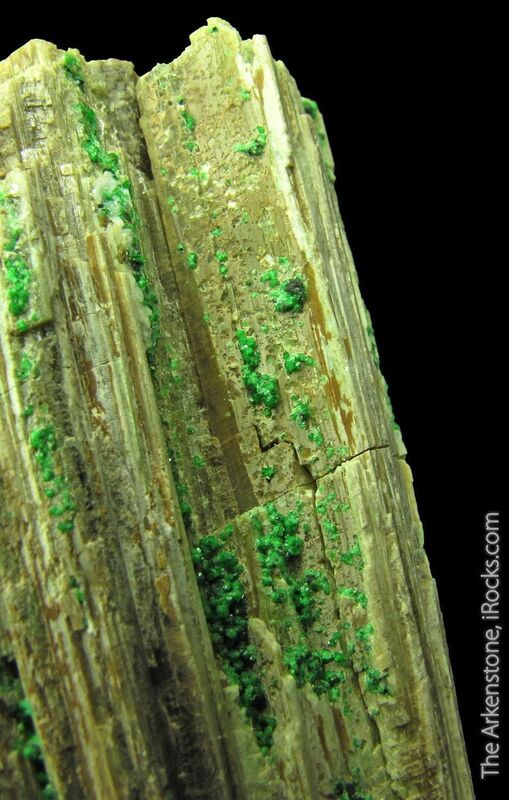 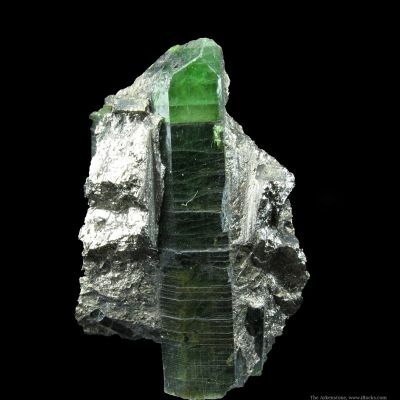 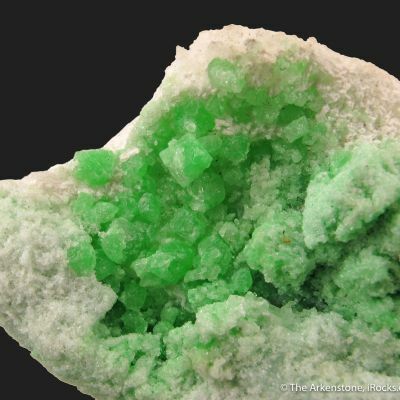 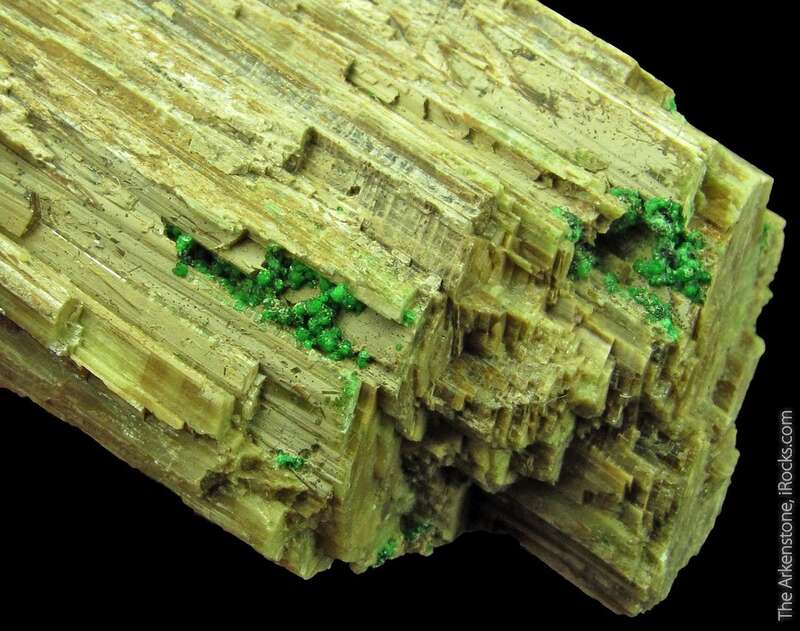 The mm-size Chromian Grossulars have good luster and a vivid, medium green color. 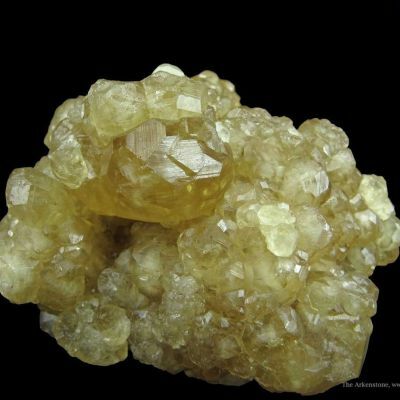 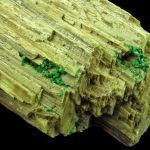 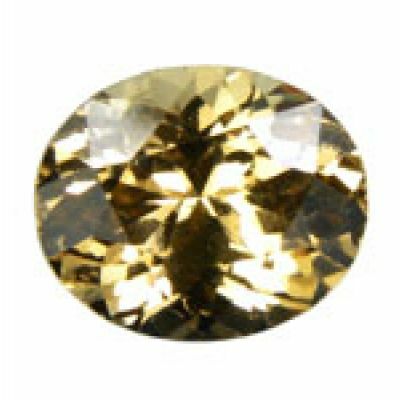 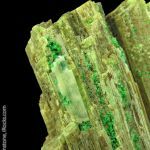 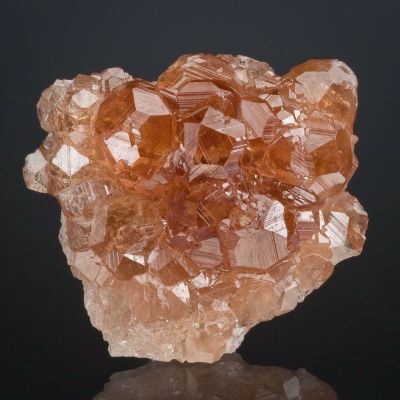 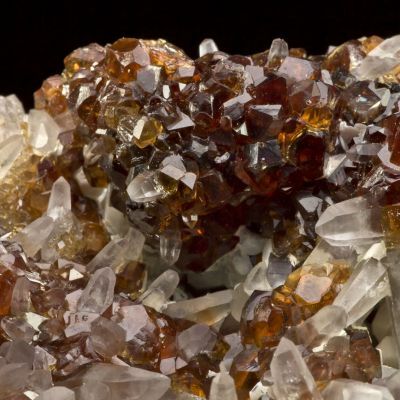 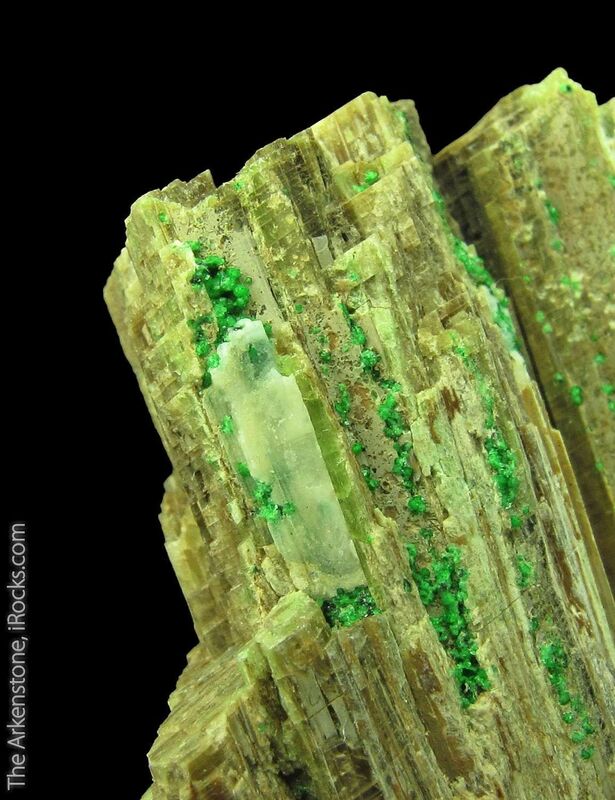 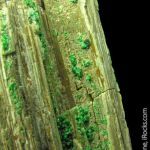 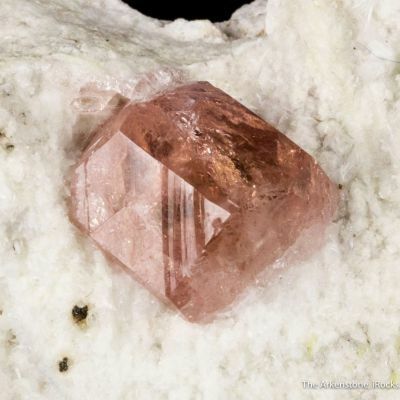 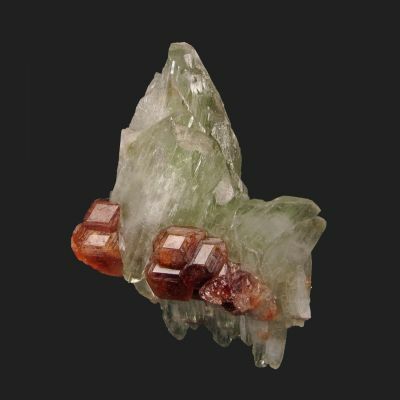 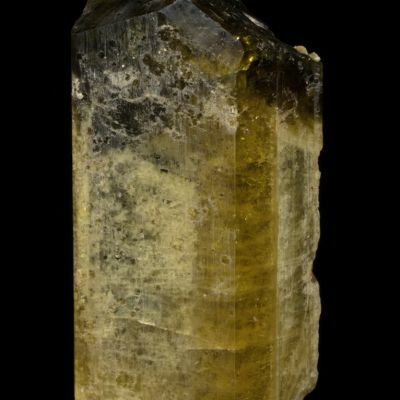 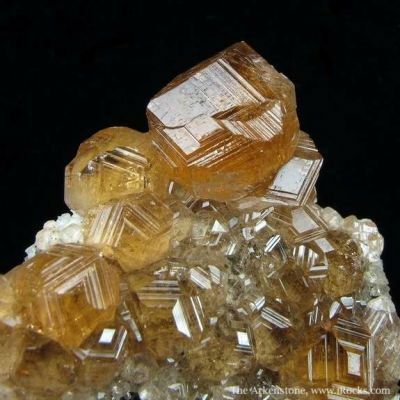 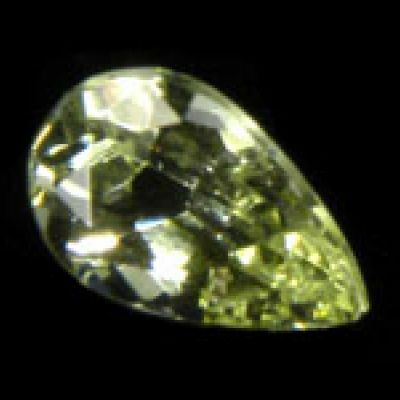 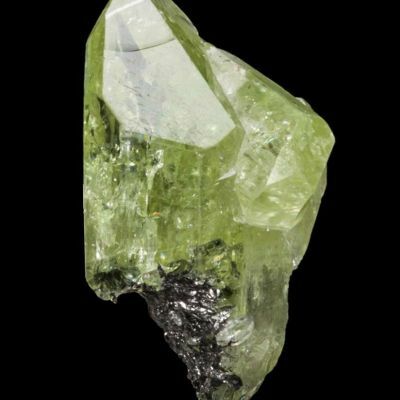 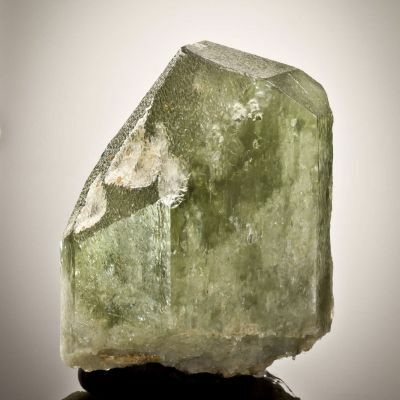 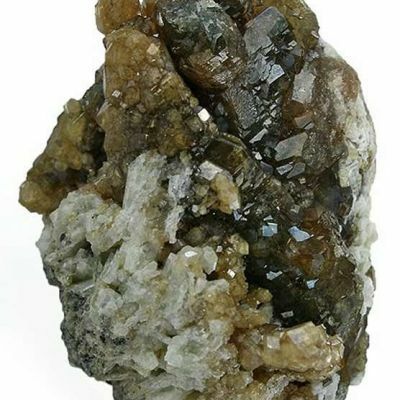 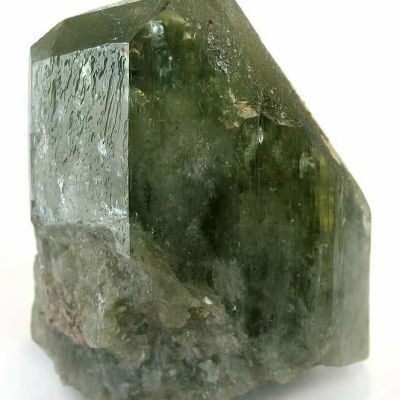 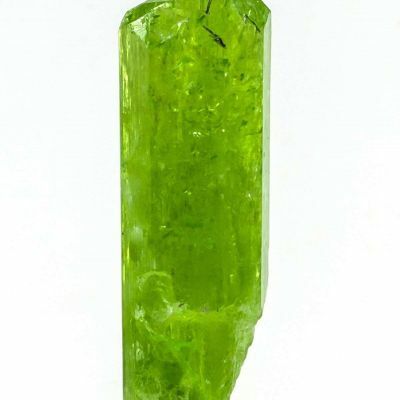 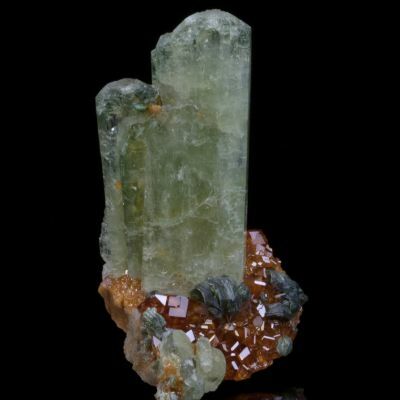 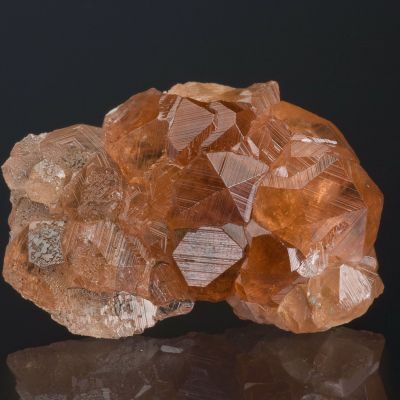 In fact, Grossular forms a series with equally vivid Uvarovite, so I cannot say for certainty what the percentages are here, other than the crystals are attractive either way. 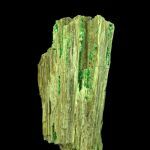 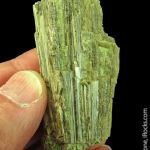 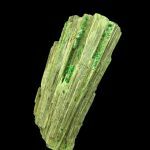 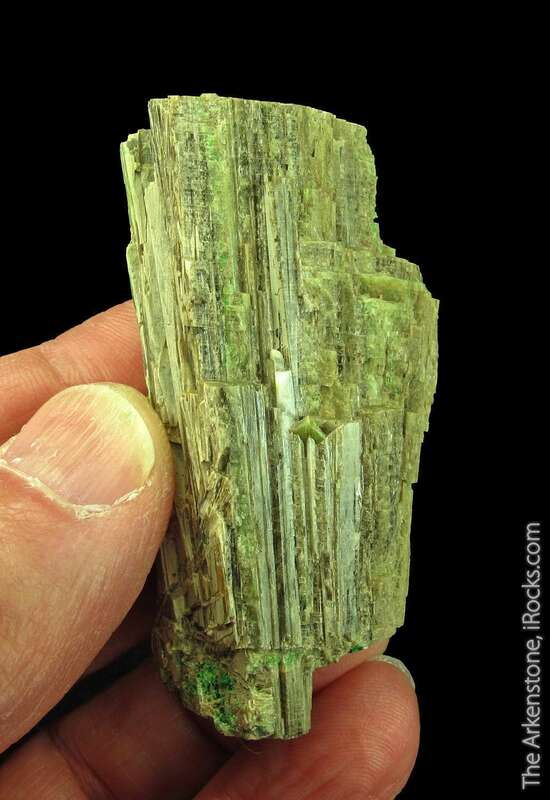 They rest on an elongated Diopside crystal, which is lustrous and looks very much like petrified wood. 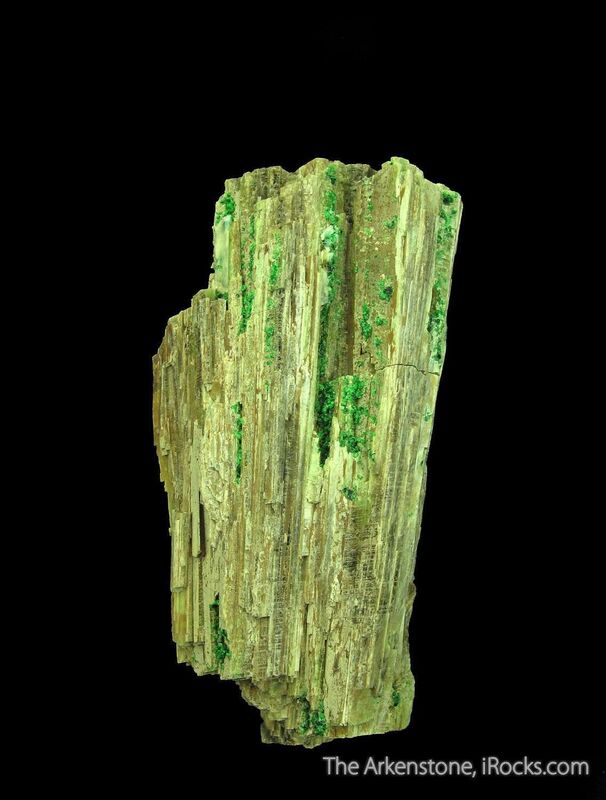 A very good, representative specimen for this area.